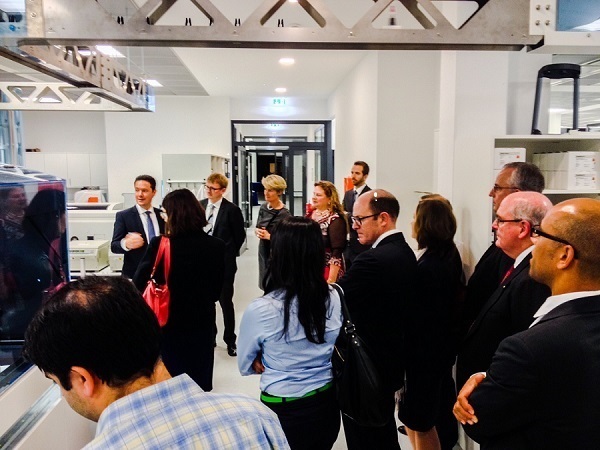 On 21 October 2014, members and friends of the German Australian Business Council joined for a most fascinating evening at the premises of Sonic Healthcare in Berlin. They were welcomed by Sonic Healthcare Germany’s CEO Evangelos Kotsopoulos; Mr. Kotsopoulos delivered a presentation highlighting the state-of-the-art technology used by Sonic Healthcare in Germany. Participants learned about Sonic Healthcare’s steady growth in the past, making it the number one medical diagnostics company and the largest Australian investment in Germany. German-Australian Business Council’s patron, the Australian Ambassador to Germany, Switzerland and Liechtenstein, H.E. Mr David Ritchie AO, greeted participants and highlighted the importance of mutual investments between Germany and Australia in his speech. 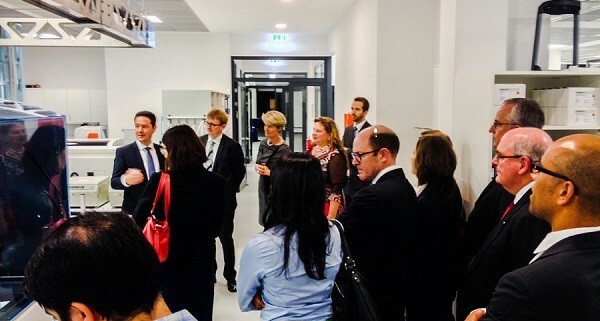 In a tour through Sonic Healthcare’s recently built Berlin central laboratory, participants were fascinated by the complex interaction between information technology and medical diagnostics providing reliable, fast and most advanced medical services to doctors and patients alike. The event continued with a reception giving participants another great opportunity to network. On details about the evening, please contact GABC board member Claas de Boer ( claas.deboer@abie-germany.de).